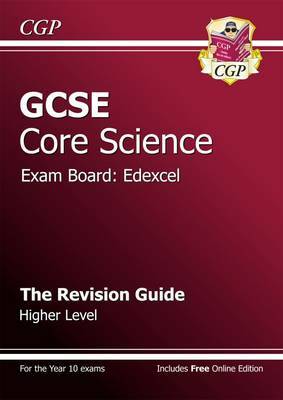 This book (with free Online Edition) is full of detailed revision notes and clear diagrams for Higher Level Edexcel GCSE Science. It covers every topic for the Year 10 exams. Each section is split into a topic per page, with questions to check what you've learnt at the end. Everything's explained simply and thoroughly with lots of handy exam tips and guidance on 'How Science Works' and the Controlled Assessment. It also includes a free Online Edition, so you can read the whole book on a PC, Mac or tablet device - just use the unique code printed in the book to access it!